Keeping track of progress is important to those who want to achieve. Data doesn't lie and allows one to tweak their efforts as they go. 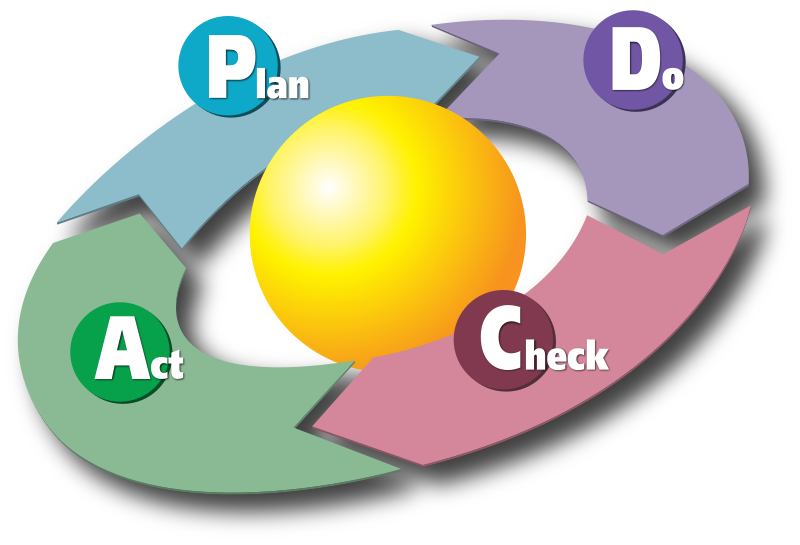 A process some likes to call "PDCA" (Plan Do Check Adjust) or "PDSA" (Plan Do Study Act). Daniel R. Castro once said that "I have come to realize that persistence simply for the sake of persistence is lunacy. Creative persistence is genius." and one can unlock this creative persistence genius through the PDCA process because it forces you to think differently about a problem. If your goal is to loose 10lbs in a Month but don't track your progress, how will you know if you're on track? 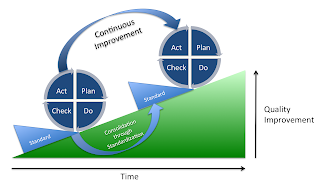 The PDCA process can help you improve constantly on your journey to the goal (as shown in above diagram). The next time you do want to loose 10lbs, you'll already have an effective plan (that worked for you before) to get there. *Diagram by Karn G. Bulsuk (http://www.bulsuk.com). Blog post originally created on December 13, 2013 and can be found here.